Despite the blustery weather in Washington, and many people trying to escape the Association of American Colleges and Universities annual meeting (#AACU16) early to avoid travel delays, we were joined by Sara Goldrick-Rab (@saragoldrickrab), Rebecca Frost Davis (@FrostDavis), and Andrea Rehn (@profrehn), for an excellent virtually connecting discussion about equity and access issues in education. 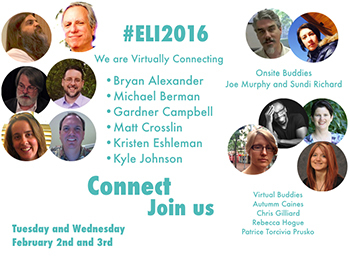 Online we had representation from Oregon, California, Colorado, Egypt, and Australia! Our discussions including conversations about food security, student debt, and adjunct labor. 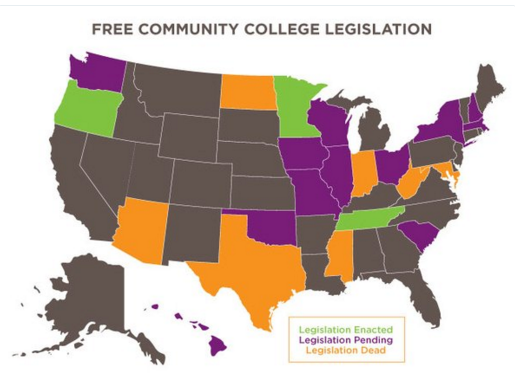 We ended the session on a positive note, learning that 22 states had legislation in progress supporting the free college movement. Thanks everyone who joined us. 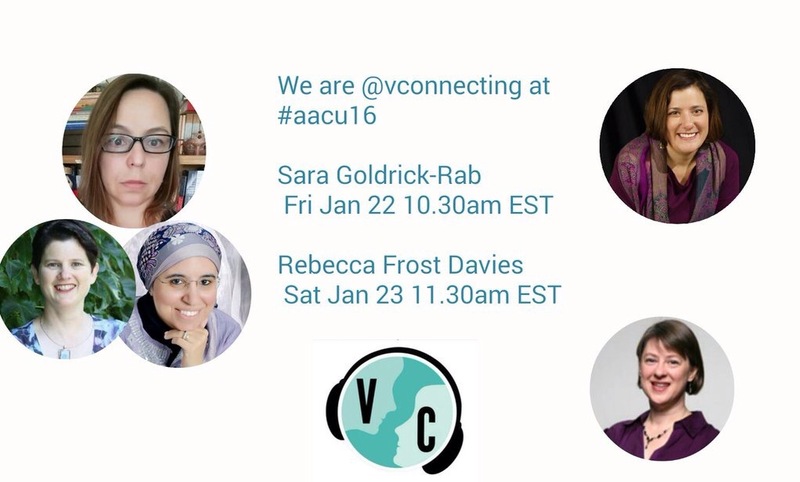 If you wish to join the conversation, we will be Virtually Connecting again tomorrow with Rebecca Frost Davis (@FrostDavis) and Maha Bali (@bali_maha) at Sat Jan 23 at 11.30 EST. To join, please leave a comment here or tweet to @vconnecting or @bali_maha. To join an onsite meeting, please tweet to @profrehn. UPDATE: Saturday’s hangout has been canceled due to weather circumstances. We are grateful we were able to meet Sara & Rebecca today.